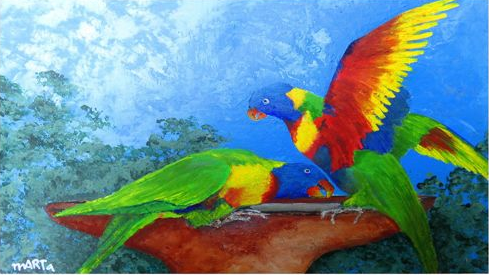 Quite often I see the Lorikeets arguing about the best place on the water troff in our back yard. 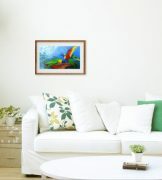 This little scene was the inspiration for this and several other “Lorikeet ‘ paintings. We make sure that there is always fresh water available for them. Signed Certificate of Authenticity will be attached to the back of the painting.